Nicos C. Sifakis (lead TALE researcher) is an associate professor in the School of Humanities of the Hellenic Open University (HOU) and director of its M.Ed. in TESOL programme. 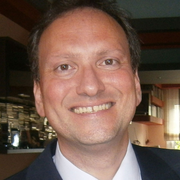 He is editor-in-chief of Research Papers in Language Teaching and Learning (http://rpltl.eap.gr/). He has trained English language teachers in Greece, Turkey, Spain, Poland and the UK for at least the pst 15 years and has published extensively on intercultural communication and pedagogy, teaching and researching English as an international lingua franca, language teaching methodology, distance education, adult education and teacher education. Stefania Kordia (TALE researcher) is a PhD candidate at the School of Humanities of the Hellenic Open University (HOU). Her doctoral research focuses on the transformative potential of teacher education. In 2016, she developed and delivered an online teacher development programme for HOU and the Panhellenic Association of Adult Education. Her research interests include syllabus and curriculum design, language teaching methodology, teaching English as a global lingua franca and teacher education and professional development.